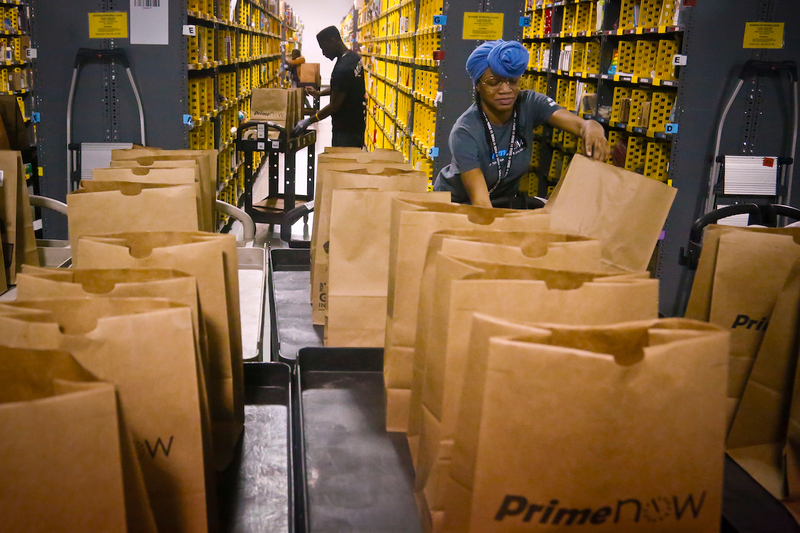 Remember Amazon’s big plans to fill 100,000 jobs in the next year and a half? These jobs span the online retail empire, and not all 100,000 of those jobs require super-impressive tech skills, according to the original press release. In fact, many of these new Amazon jobs are in fulfillment centers, which are opening in cities across the U.S. right now. Where are These New Amazon Jobs? Amazon’s Jan. 12 press release boasted fulfillment centers under construction across the country, from Texas and California to Florida and New Jersey — adding to its existing 80-plus centers worldwide. Since then, Amazon has announced that new centers will pop up in North East, Maryland; Coppell, Texas; and Aurora, Colorado. Stay tuned with Amazon’s latest press releases. All the jobs Amazon has been boasting about are full-time — which means full benefits. Amazon also has something called a Career Choice program, which preps employees for other in-demand Amazon (and otherwise) jobs. Basically, the program pre-pays 95% of college tuition, so long as you’re taking classes that pertain to in-demand, high-wage fields, even if they aren’t relevant to a future Amazon career. More than 9,000 employees have already taken part in the program. Find out more about benefits (for part-timers, too!) right here. Is a Fulfillment Center Coming to My City? Right now, the Amazon jobs page says more than 4,000 positions are available across the U.S. (plus international opportunities in the Czech Republic, Germany and Poland). For more of the latest and greatest job opportunities, be sure to *like* our Facebook jobs page. Your Turn: What’s your most recent Amazon purchase? I bought some twine for a DIY project.